Apuron and his handlers must have known that the Deed Restriction, recorded secretly with Land Management on November 22, 2011, could not be kept a secret forever. Things were getting hot. 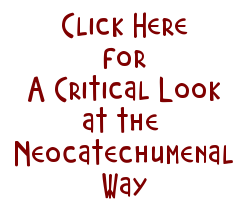 In late 2013, I had exposed the fact that RMS was not only not forming diocesan priests as we were told it was, it was never intended to: it's Articles of Incorporation stating specifically that RMS existed to form priests according to "the life and practice of the Neocatechumenal Way" which is oriented towards breaking parishes into small communities. Comically, Apuron admitted this was the truth by hurriedly establishing another seminary that is supposed to do what RMS said it did, but never did: form diocesan priests. But of course this second seminary was nothing but a ruse as well, and has proceeded to ruin even more lives. Throughout 2014, through this blog, we kept the pressure on and by the end of 2014, Apuron was desperate. In addition to the millions donated by the original donor, many more millions had been raised from Guam Catholics over several years in support of the seminary for what they thought was its mission. Once the Catholic public learned the truth about RMS, there was a backlash: a campaign to STOP THE MONEY. However, JungleWatch cannot take all the credit for the backlash. Most of the credit goes to Apuron, who, in an effort to squash us, began rabidly ordaining extremely ill-formed and unqualified presbyters from RMS, who, quite without the help of JungleWatch, proceeded to piss off the people who had been paying their way for more than a decade. Meanwhile, JungleWatch began exposing the possibility that Apuron had violated church law by deeding the property to RMS. We did not know yet about the Deed Restriction, but there was plenty of evidence that something untoward had happened, especially the extremely ill treatment of Richard Untalan and the other members of the former finance council. "I am writing this letter to assure you...and your very generous benefactors who will always remain anonymous* that the donation given to the Archdiocese of Agana when the former Accion Hotel in Yona, previously owned by a Japanese Company was bought by the Archdiocese of Agana in which the Redemptoris Mater Archdiocesan Seminary of Guam has, is and continues to be used as a seminary, but, in title belongs to the Archdiocese of Agana." * The reason he says the donor will remain anonymous is because the anonymity of the donor was a condition of the donation. However, Apuron had already revealed the source of the donation almost immediately after it was received, causing serious financial harm to those who had procured the donation because their regular donors believed that their donations had been abused. First, why is Apuron writing to the benefactor (actually the benefactor's representative) TWELVE years later to assure the benefactor that the donation was used for what it was intended (the donation was given in 2002)? Was it perhaps, like Poe's "Telltale Heart", that the secret Deed Restriction was ticking louder and louder in Apuron's conscience? After all, to cover his trail, he had viciously dismissed four people who had served him faithfully and well for many years, he had accused Mr. Untalan of "nonsense", and had sicked his sick Vicar General after him to accuse him of a "vulnus", which was a veiled threat of excommunication. And then came JungleWatch, with exposure after exposure. The ticking got louder and louder. TICK, TICK, TICK TICK! Tim you're still trying to get your hotel ? Fellow anonymous at 1:56 pm: what is the relevance and logic in your question? Stick to the facts, don't shoot the messenger by offering fallacious Ad Hominem remarks. Tim, for your information, does not need a hotel when he already has rooms prepared for him in the eternal kingdom of God. 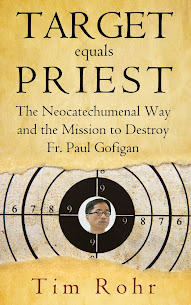 His noble efforts to speak the truth and to investigate what ails the welfare of the church in Guam has earned him the hearts and minds of faithful Catholics. What have you got to offer, excerpt silly barbs that amount to nothing other than cheap shots. Grow up! I find it coincidental that on December 8, 2002, Supertyphoon Pongsona hit our island on the same day which Guam's celebrates the feast of Our Lady of Kamalen who is Guam's Patroness Saint and Protector. This is the same year the donation was given to the Archdioceses of Hagatna for the purchase of the hotel that is being used by the NEO-CULT Seminary. 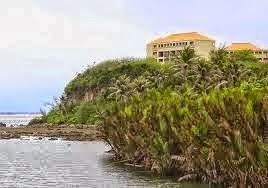 The anonymous donors wanted the hotel to be used to establish a Diocesan Seminary in Guam. Instead it was made into a CULT Factory under the guise of the New Eucharistic Order / New Catechetical Way Seminary. Our Holy Mother must have known the deceitful acts that would follow and sent Archbishop Anthony Sablan Apuron (AAA) a warning of how these treacherous acts would divide our church....Poor AAA, he failed to heed our Holy Mother's warning and continued his deceptive lies to the lambs he was called to shepherd. O what a web this Chancery Leadership weaves when they continuously practice to deceive.....AAA listen to the cries of our Holy Mother and the lambs you are entrusted to shepherd. Heal the divide you promised during your Mass of Chrism homily.....Stop the lies and deception especially in a public forum....Your days in this realm is coming to an end. Do you still want to be known in history of the Shepard who led his flock astray though continuous lies and deception? Jesus said to Peter three times...Do you really love me. Peter said yes Lord I love you. Jesus then said to Peter "Feed my Lambs (the Gospels / Good News).....As Saint Peters representative in Guam....Do you really love Jesus Christ? Then stop feeding us crap in a public forum because the entire Archdiocese is on to your evil schemes. Make peace with both Monsignor James and Father Paul, whom you deceptively accused of wrong doing in a public forum without due process as required by Cannon Law.....A written apology from you is required for the deceptive accusation stated during the retreat in the Philippines of Father Paul.....You should be ashamed of yourself for not having the evidence verified before publicly humiliating these two Holy and Outstanding Priests, whose only wrong doing was not following you NEO/NCW agenda. Anonymous @ 1:56..you NEO CATS are just too funny, when truth hits you throw immature comment. Hahaha, truth hurts right. It's okay I'm sure you'll still be forgiven for you were blinded by the manganitis that somehow showed you their WAY. And if Tim ever did get that hotel he'd more than likely keep it open for those studying to become true priests. God bless you.......KATOLIKO.